Admit, you thought you will find a blog post about the smart phone game called Angry Birds, right? Nope, I won´t write about the game Angry Birds now and I also think that I won´t show you any angry birds that attack someone like in the movie “The Birds” of Alfred Hitchcock. 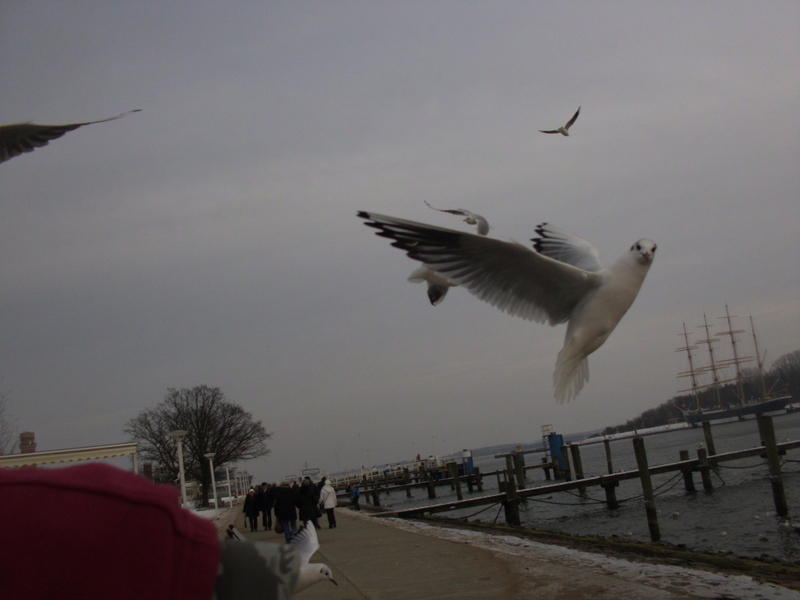 What I want to write about is a situation we experienced when we visited Travemünde some weeks ago. 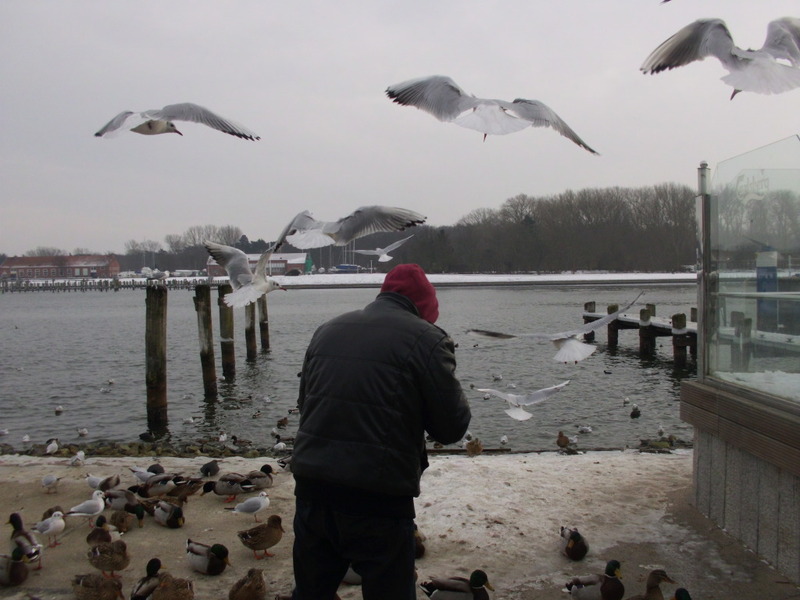 I wrote about the day in Travemünde. To be honest, the title “Angry Birds” might still fit to my post. 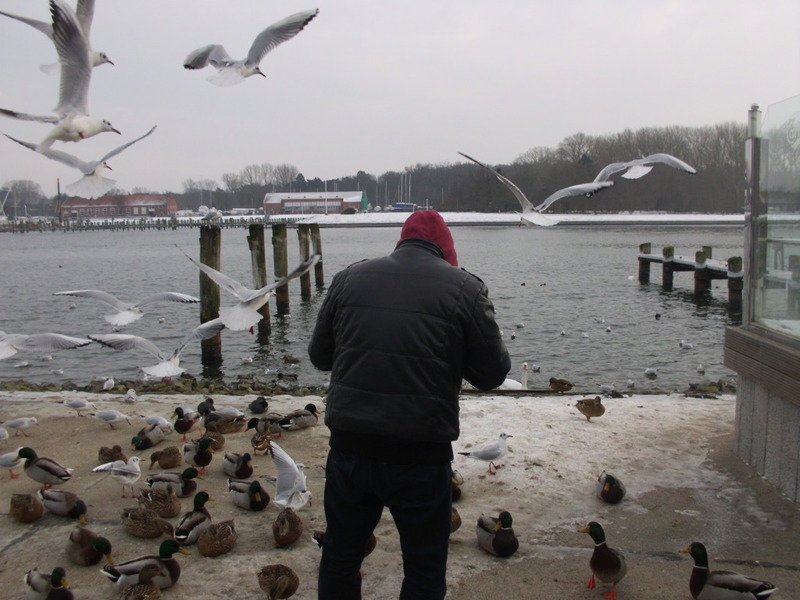 We bought a bratwurst with a bun in Travemünde. 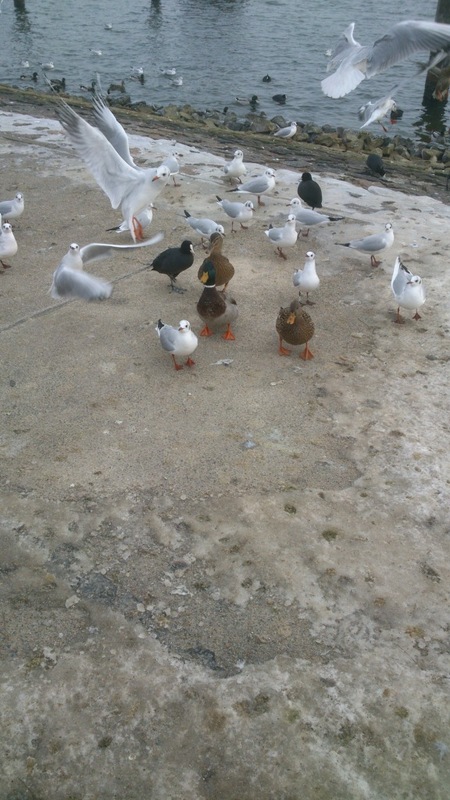 Then we walked on the sidewalk near the water and noticed all the seagulls, ducks and ravens. 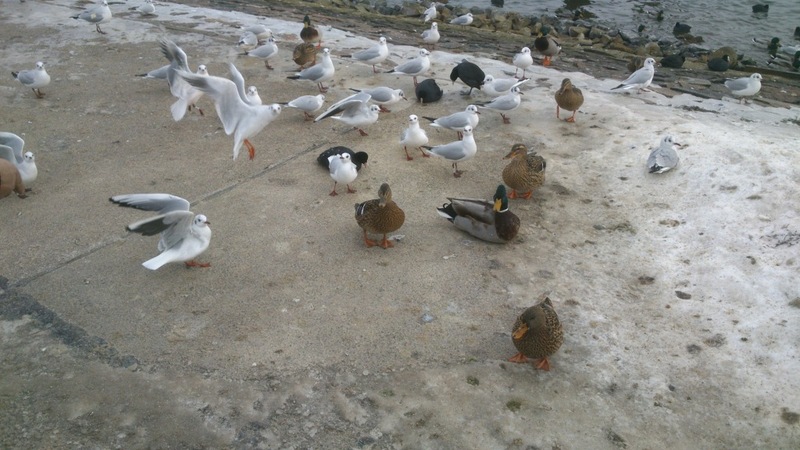 Especially the seagulls noticed our sausage and bun very early. 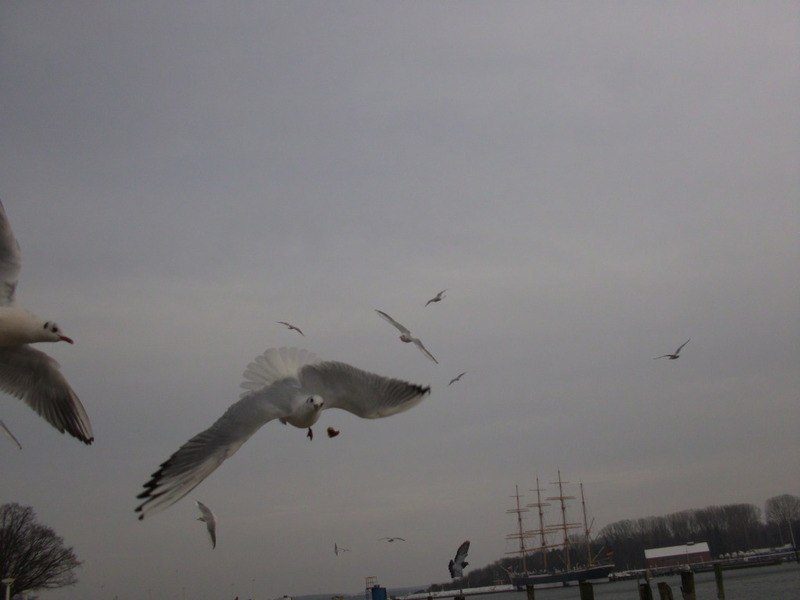 They flew directly over us. 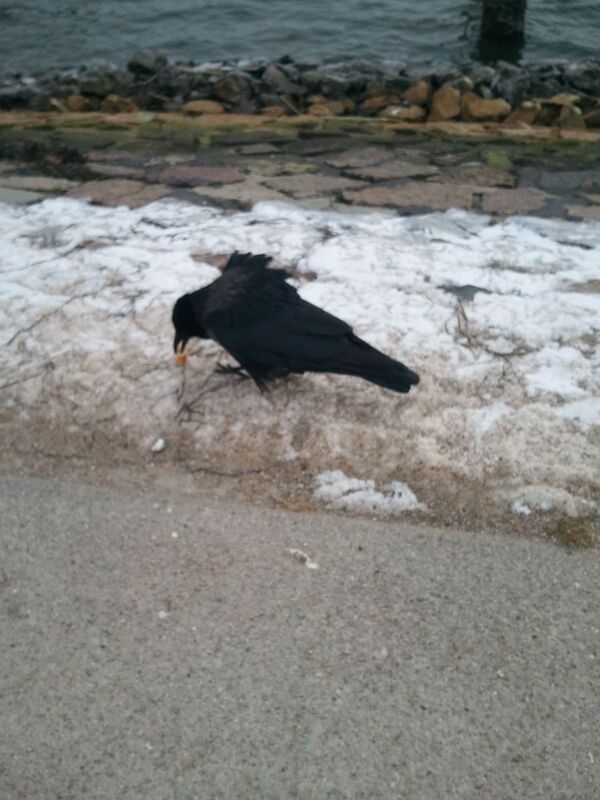 The husband of my mother did throw a piece of the bread on the ground and it just took a second and all the birds did struggle for the small piece of bread. At the same time they noticed who the donor is and who else has a bratwurst bun too. My mother and me enjoyed a bratwurst and bread too. 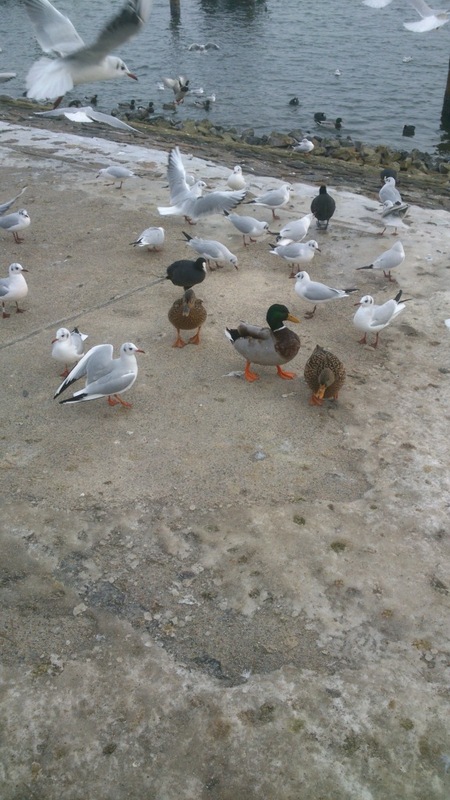 Can you imagine how shameless seagulls can be? 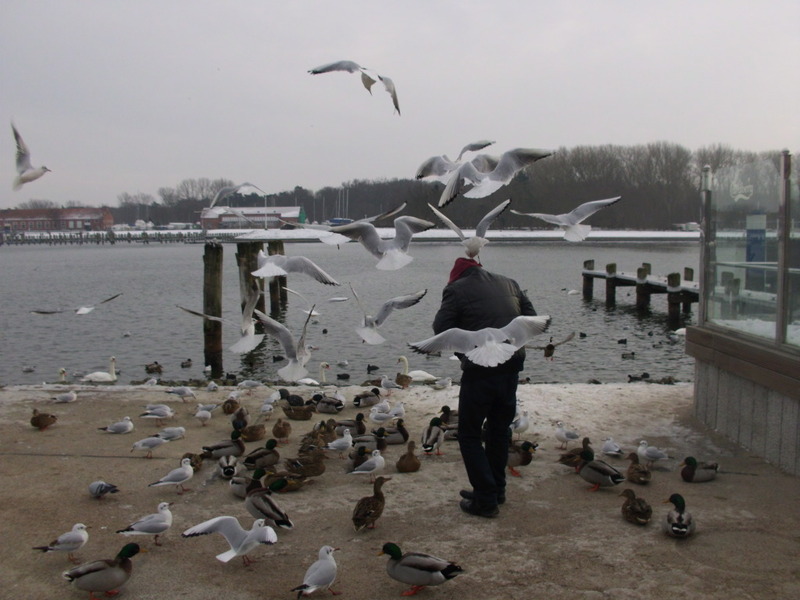 Defending a bratwurst bun is impossible and the seagulls can be lucky that we aren´t too high-handed.